Our first Full Length Studio Album is now available on iTunes! 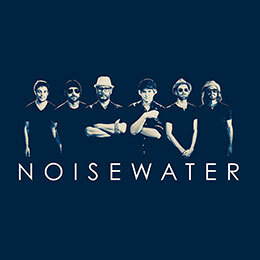 Noisewater is a New Orleans favorite on the local music scene, and its seasoned members have played a wide spectrum of music that includes everything from Metal to Big Band, Jazz and Progressive Rock. Their eclectic background comes together in their approach to Funk creating a harder, rock edge that instills a sharp, crisp groove, infused with jazz, reggae and psychedelia—a cocktail that always leaves audiences thirsty for more. The band is made up of Norwegian born Ole Oddlokken on tenor sax, Brandon Hotard on guitar, John Meunier, Jr. on bass, drummer Cody Fahnestock, percussionist Chad Toups, and keyboard and harmonica player Chad Carlile. Focus tracks are “Whatcha Know,” a guitar driven New Orleans funk groove with lots of featured solos ending in a no-holds-barred jam. “Funk as Prescribed,” is a bass-driven jam that transitions from an ambient guitar riff into a frantic and fun finale. The nine minute “Funkoteque” is a funk rock showcase with punchy arrangements and dynamic, psychedelic elements that enrapture the listener. continuing with multiple solos, “Soul Glo,” morphs into a heavy sing-along chorus. “Nutella” is another reggae infused tune with an austere atmosphere and screaming organ choruses. “Jam-Balaya” includes numerous solos featuring a blazing and blistering harmonica. The danceable song, “Funky Chinatown,” is inspired by martial arts action movies and has an eastern flair. “Boose Looty” is considered an industrial funk track that alternates between laid back grooves and heavy-hitting breakdowns. The Noisewater album was recorded last year and produced by the band. It was recorded at Word of Mouth Studio in New Orleans, engineered and mixed by Tim Stambaugh and mastered by David Farrell. Graphic design is by Ole Anders Oddlokken with photography by Nonney Oddlokken. In addition to performing all over New Orleans, Noisewater has made its presence known in venues and on festival stages all over the Gulf Region including the Baton Rouge Funk Fest, New Orleans’ esteemed Jazz In the Park series, and the Performing Arts Center of the New Orleans Jazz Museum at the Old U.S. Mint. They are featured in the New Orleans Jazz Museum Collection and have performed live on WWOZ radio, as well as opening for The New Orleans Suspects, Soul Rebels, Billy Iuso and the Restless Natives, Bo Dollis Jr. and the Wild Magnolias. The Noisewater record release party, at the world famous Tipitina’s, is scheduled for Saturday, August 11. The venue is located at 501 Napoleon Avenue, New Orleans, LA 70115. Headquartered in New Orleans, Louisiana Red Hot Records is the home for the next generation for Louisiana legends. For over twenty years, the label that launched and supported the careers of Cyril Neville, Hunter Hayes, Trombone Shorty, Dumpstapunk, and New Orleans Suspects has specialized in providing the world with a richly varied catalog of more than 200 albums by a brilliant array of Pelican State blues, jazz, rock, R&B, Cajun and zydeco artists. Louisiana Red Hot Records continues to represent the best of the past and future of music made in and inspired by the profound and incomparable Louisiana musical heritage. 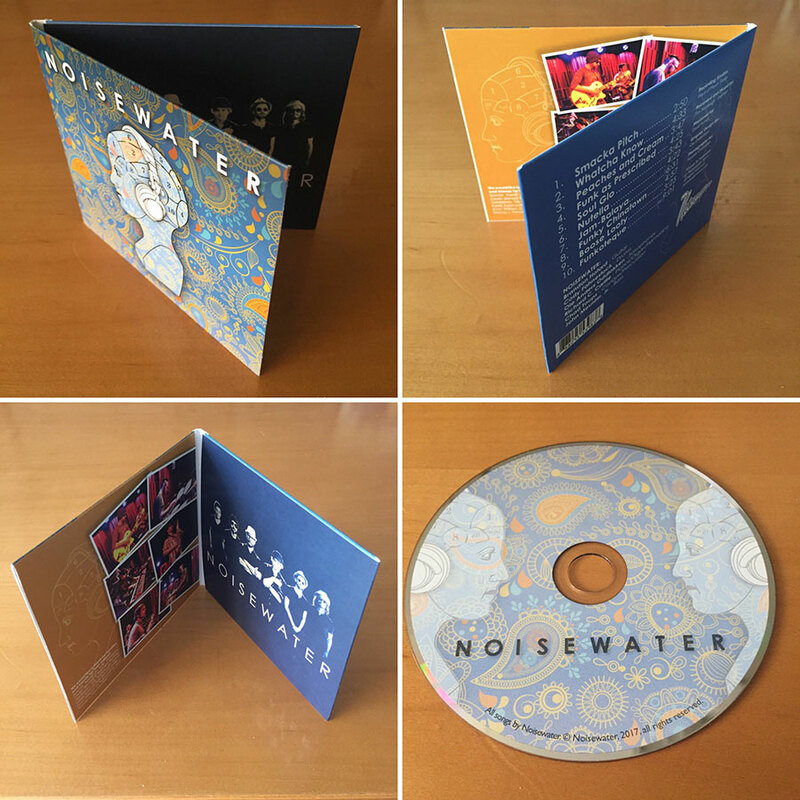 The Noisewater release will be available on all the usual distribution outlets. The Louisiana Red Hot Records Catalogue number is LRS 1187. The UPC number is 888295539838.